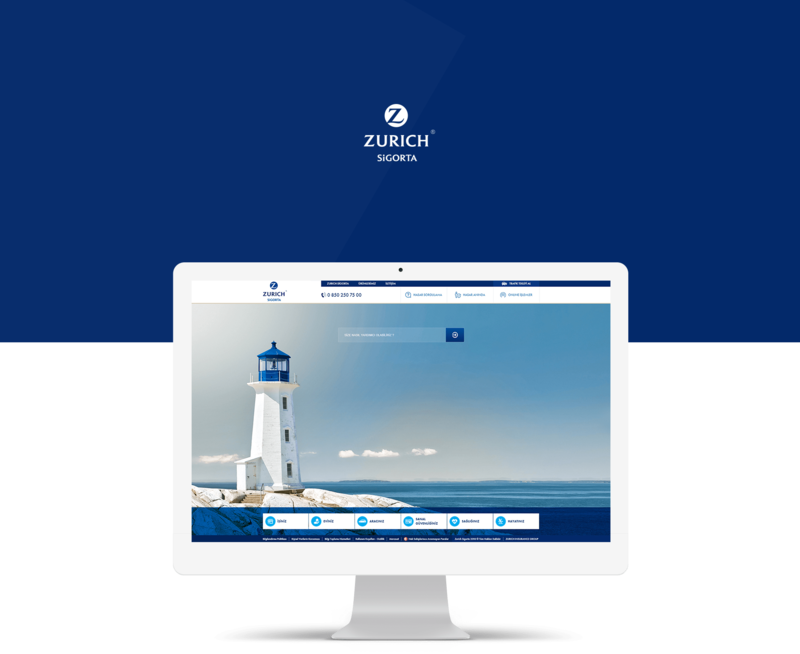 A brand new digital ecosystem created parallel to global brand identity of Zurich Insurance. A minimal, direct and spacious design approach preffered to empower informativeness of the platform. 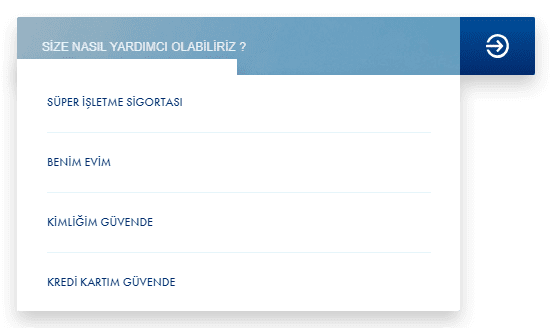 The search bar positioned at the center of main page to fullfil users needs swiftly and show all related services and contents. An iconic structure created for letting the users to reach their checklist, legal necessities and related communication sources during a damage. With this feature users can easily follow the process, learn their current situation and reach expert reports via website. 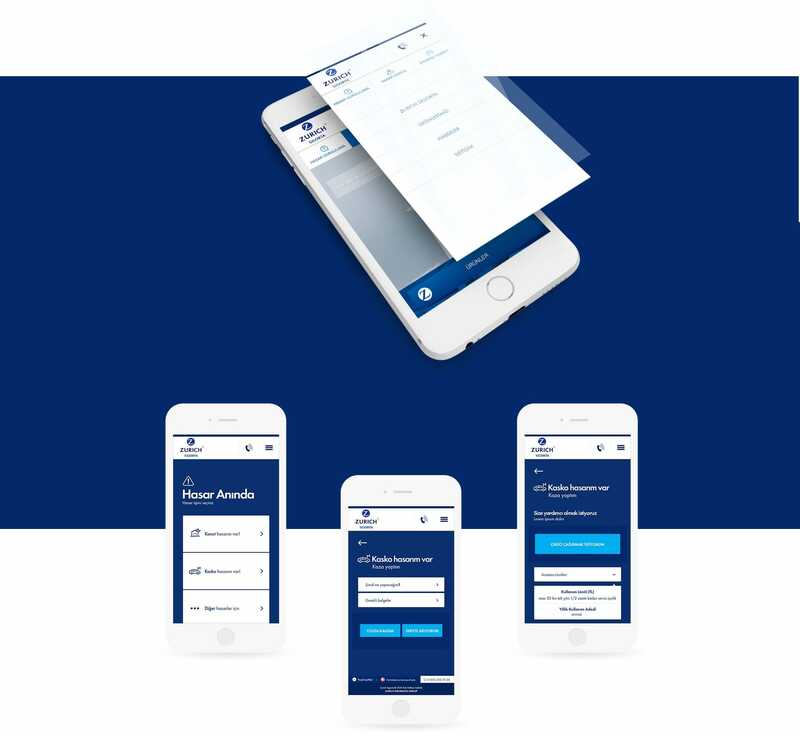 Website coded for the needs of responsive design and adapted to all mobile devices because of mobile priority and real-time communication purposes.